This was a difficult article for me to write for a lot of reasons, but I am glad that I wrote it. In this two-part article, which will be my 99th and my 100th blog posts, I revisit my past and present a revised vision for my future as a technical blogger. I see myself as a type of soldier that has been mentally battling data for a long time. I’ve been working deep in the trenches and at the front line, learning to adapt and overcome steep odds. In some respects, the battle is now mostly over for me because I am a wise and experienced soldier. Now I get to enjoy the second half of my working life more efficiently than the first half, by applying the lessons that my experiences have taught me. By writing this blog, I get to share these lessons with an anonymous audience in the hopes of helping others win the data battles that I have waged and won. To continue this analogy a bit further, I have now left the battlefield and find myself undergoing an intense debriefing. In my mind, I am stripped bare, laying uncovered in a bed at a military hospital. I’m lying there with an extensive number of stories of successes from the battlefield that I want to tell. These stories are seemingly endless and keep flowing from within and all I want to do is to write them in this blog. As I lay in that bed I feel that there is nothing covering me but transparent air, as the doctors and nurses are assessing me and wondering what has caused me to malfunction. They are wondering how this soldier could emerge from this multi-decade battle with data to become a man that has such passion for two-particular pieces of software that he decides to write a technical blog? The staff is wanting to know what makes me tick, what keeps me going. They want to know the secrets that only I know. As I desperately try to tell them that I just need to share my experiences by writing this blog, they give me a shot to relax me before the physical exam begins and I slowly fade to black. As I fade away, I see my life unfold, from childhood until now. Stories, experiences and lessons learned are remembered and I feel like I’m Dorothy about to follow the Yellow Brick Road in the movie Wizard of Oz. This is how I feel right now because these are the final words I have written just before I just pushed the “publish” button on my 99th blog post a moment ago. Although I have felt this feeling many times before, the butterflies dancing in my stomach are the same was when I played a big baseball or basketball game. If the butterflies weren’t there, I wasn’t ready to play (and I was always ready to play). So the nerves I feel dancing in my arms and back indicate to me that I am ready to unleash this story on the world, irrespective of what people may think about it. I don’t know what compelled me to write this piece, other than to say that I felt like I needed to do it for myself and for my son Jett (Figure 1), who is now three years old. I wrote this so that he can have a written record to know what his Dad experienced as he grew up. So with a mindful eye on the past and a vision towards the future, I offer a story of a Chicago city boy that somehow managed to escape street fights, riots, racial tension, and other potentially life-ending situations only to find himself working on some really great business challenges and having a fantastic family. 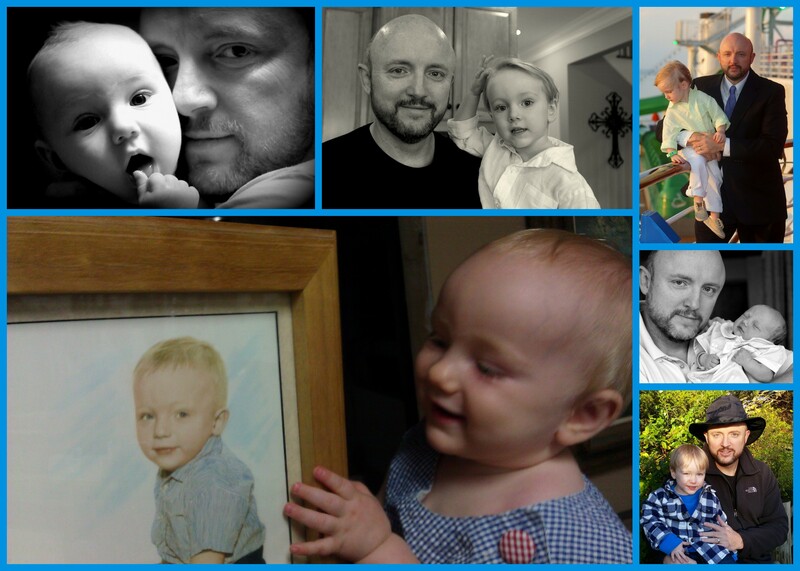 Figure 1 – Ken Black and Jett Black, from birth to three years. Finally, one of my brother-in-laws once told me that I surprised him as I grew into adulthood because he thought I would take a bad path in my life, into prison or worse. He said that he made that prediction because of the circumstance of my life. He didn’t feel that “badness” was a part of my natural character but he felt that my environment could have pushed me into being something that he didn’t want me to become. His vision nearly came to fruition one night when random violence entered my life as I was suddenly robbed at gunpoint, with a sawed-off shotgun stuck on my spine. I vividly remember waiting to hear the blast and feel the heat of the pellets as they sliced into me, but luckily the shot never rang out and I survived to tell this tale. Therefore, to allow readers of this blog to understand me a little better, this article starts with a bit of autobiographical reflection followed by my work history to explain how I have learned to innovate using Tableau, Alteryx and R. I want to explain why I have decided to write this blog. In part 1 of this series, I go back to my beginning, in an attempt to understand how I developed into the man that I am now. I suppose I needed to do this to understand the road that I took to get to this point in my life and career. So if you can tolerate a bit of me examining my past, you will eventually learn why I have such passion for using Alteryx and Tableau and why I feel compelled to write about these technologies. The astute reader will notice that I ended the previous sentence with the word technologies. You might be asking yourself, what does he mean by that? Well, to me as a computational mind living and breathing in the business and science world, both Alteryx and Tableau are much more than software packages. These products represent the leading edge of a software revolution. These products empower quantitative people. These products give us extensive capabilities that are better than other products that have come before them. If you want to look at the world through quantitative eyes, to be able to uncover the truth of what you are studying, then the combination of these “software packages” can give you more power to develop and tell your story than any software I have ever used. The great news is that both of these tools continue to get better. I have found that to solve the most vexing problems, I need both Alteryx and Tableau. I cannot do those jobs with either package – they are both required as I will explain. Just as I have lived through a computer hardware revolution over the past 30 years, I believe we are now entering a revolutionary period of innovative software development. I believe that tremendous insights to all types of behaviors will be possible by using quantitative software products such as Alterxy combined with Tableau. These tools when used in combination will empower more people than ever before to make keen insights that are currently hidden in data. This is my belief, my vision, and I write this blog to help document how this assessment is now happening and how it will unfold in the future. In part two of this series, I focus on explaining how I see creativity and innovation being expressed through the use of Alteryx and Tableau. I explore how the combined usage of these tools allow us to solve complex business and science problems. I think this is important to document because we are now working on problems that were not possible to solve just a few years ago. It is my goal over the next 100 blog posts to document some of the concepts we have developed to accomplish great things. If you are patient enough to read these two blog posts, you will see that I have paid the price for admission into the world of technical blogging. I have put in the time to appreciate and understand these tools. Although I still have more exploring and learning to do in Alteryx than I do in Tableau, I already have a vision for Alteryx that far exceeds my initial expectations. I must say that Alteryx is far more than an ETL (extract, transform, and load) tool. Alteryx is a platform of unlimited potential, of magnificent capability, and the potential uses of this tool are virtually endless. For these reasons, I feel that I have earned the right to publish this blog. I want this article to serve as my justification for writing about Alteryx and Tableau. Athough nobody knows everything about complicated software like these two packages, if you spend enough time working with them, you learn insights that can help others without even having to take the time to directly teach them. Collectively bloggers are changing the way people learn. I want to be a part of that movement. That is one of the things that makes me tick. This article will also form a benchmark for me in late 2014, which will help me quantify my skills in the future as I challenge myself to become an even more innovative and creative user of these tools. Now in late 2014, I see myself growing from a Tableau-centric enthusiast to a bigger-picture problem solver using Tableau combined with Alteryx and R. I see growth and innovation in the approaches that my co-workers and I are developing to solve problems. We have kicked some seriously challenging projects in the hind-quarters over the past few years and especially in 2014, and I promise to share insights from this work as much as I can. As I look back at my first 98 blog posts, I can see how my professional skills have developed over time. That is one side-benefit of writing a blog – you can see where you are and you know where you have been. I can clearly see how my ability to solve problems with innovative approaches has improved over the past couple of years. These changes have been happening in stages thanks to the combined usage of Tableau, Alteryx and R. Sometimes the changes happen quickly, and sometimes you have to be patient to learn the fundamentals. My growth has also happened because of my willingness to continuously learn by not being afraid to create and try new ideas and by reading the work of other bloggers. To make these skill improvements, however, has required me to to study and work with data on a daily basis for nearly half of my projected lifetime. You can say that I have been a long-time student of data. This experience was necessary to build the fundamental skills necessary to do what I can now do. The bad news is that I have forgotten more than I now know. The good news is that I can still remember how and where to find what I have forgotten! The creation of this blog helps me remember how to solve problems. That is one reason that I fill page after page of technical techniques designed specifically to teach new users of these tools to solve business, math or science problems. To understand how my skills were acquired and are continuing to improve, I have decided to become a bit autobiographical in this article. I feel that this is necessary because I want to explain events the way they happened. In doing so, I expose some of the hardships that I have faced in my life, as well as some of my successes. The embarrassing moments and some of the things that were beyond my control are why this series was hard for me to write. Being truthful and transparent with my words is only way I know how to write. I was born into a single parent household that was full of love, support and encouragement. My Mom was my biggest inspiration, my best friend, and from an early age she instilled in me a steady and intense work ethic that I will always maintain. My brother Danny and sisters Dorothy, Fay and Pat have also played a big role in my upbringing since they were between 11 and 17 years older than me. Each of them is my hero in their own way, and one day I will write about each of them to thank them for contributing to my life. With Danny and Fay now gone, Dorothy and Pat still provide great inspiration to me whether they know it or not. I hope they will get to read their stories before long. My Mom never allowed me to do anything after school until I completed my homework. My Mom made sure that education was always my first priority because she knew how important it was to being able to achieve a good life. She knew this because she was born in the depression era and she lived through her fair share of hardship during her life and had to work many physically demanding jobs. With an amazing resiliency and stubborn determination, I saw my Mom go to work very early, nearly every day of her life. Although she awoke at 3:30 am to prepare for work, she rarely, if ever, complained about her job. One very important lesson my Mom taught me was to be thankful for having a job because there are a lot of people that do not have one. For this reason, I have only only worked for three companies in a career that is now over 27 years long. I have been steadfastly faithful to my employers because I am thankful for, and respectful of, the opportunities each of them has given to me. This type of behavior does not appear to be common anymore, but I believe in this career approach because of my Mom. Sometimes this approach can hurt your career opportunities. To learn about a BIG missed opportunity for me, read this story. One day I’ll write a story about my Mom because I owe it to her. Although my Mom has been gone for years, I have grown to appreciate the lessons she taught me throughout my life and I try to honor her memory as I try to move through my life as a respectful, helpful and honorable man. Even in her absence, the lessons she taught me still resonate within me on a daily basis. I never knew my Dad. He was murdered in 1986, which was a full five years before I searched for, and successfully found, his family in Gadsden, Alabama. Since I never knew the man and have only one picture of him as a keepsake given to me by one of his family members, there isn’t much for me to say about him. I could write a thousand pages of what it feels like to grow up without a father and with a mother having a different last name than what you have, but that is a story for another day. That story will be even harder to write than this one. The story of how I found my Dad’s family in 1991, however, is eerily similar to the story told in the movie Antoine Fisher. My search for my Dad’s family is full of twists and turns, including finding out that I had two half-brothers that were older than me, but this story will also have to be written at a future date. The only salient reason for me mentioning my Dad is that he was purported to be an excellent house painter, with an innate ability to very accurately estimate the number of gallons of paint required to paint a house. His family told me that my Dad had a quantitative mind. My very earliest memories are of learning the ABC’s, repeating song lyrics that I heard every day streaming from my brother Danny’s vinyl albums, and counting, counting, counting. Counting steps, counting toy soldiers and other items seemed to be a past-time of mine as a young boy. Looking back on it, I can see that my brain was wired for counting. My brain was also wired for great short-term and long-term memory. I still have the lyrics to thousands of 1960’s to 1970’s songs stored in my brain from my early childhood. Although I did not know it then, by the time I hit fifth grade, my love of math was beginning to form. I was inspired by a boyhood crush on my fifth grade teacher, Ms Debbie Land, who hailed from the exotic location of Denver, Colorado. I remember trying very hard to impress her by working diligently on math during that pivotal year. My first math “eureka” occurred in fifth grade on the night that I taught myself to calculate an average. After struggling to understand the examples for what seemed like a few days, the method finally made sense to me. Once I got the concept, I ran through the house, jumping up and down and telling everyone about how to calculate an average. This is the first time I ever fell in love with math. As shown in Figure 2, which was taken from my fifth grade report card, the comments from Ms Land indicate that I did work hard during that year and showed great improvement. As I look backwards in time, my 20-20 vision has allowed me to see that my fifth grade year was a pivotal time in my quantitative development. In fact, half way through the year I went from a “B” student to an “A” student. 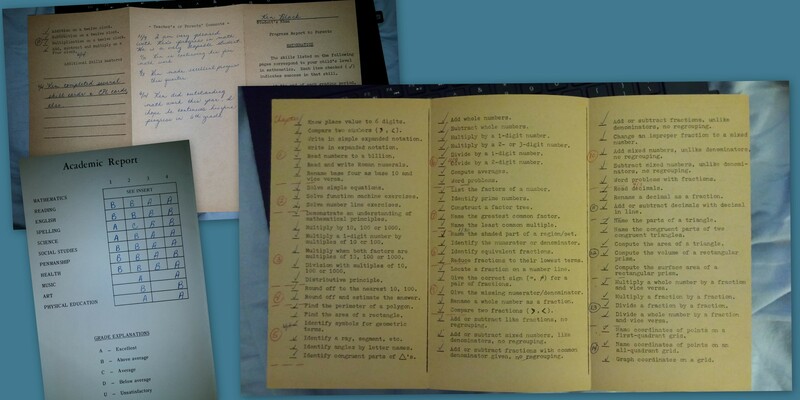 Figure 2 – Fifth grade report card and math skill checklist. This shows the skills I achieved that would set the stage for my future career (click for large view). It was mid-January, 1979, when my world stopped and then slowly restarted. My older brother Danny, who was 11 years older than me, died in the hospital at age 26 as I walked miles through 3 feet of snow in one of Chicago’s biggest blizzards in over 10 years. I was a sophomore in high school and I was 15 years old. Danny was my brother, but he was also a person that I loved and adored. He was my teacher and he was my protector. Danny was in some way my surrogate father, since he was 6’3″ and already an adult by the time I started school. Danny and my Mom were my world. Losing half of your world at 15 years old is like trying to stand on the ground when an 8.0 earthquake is being released beneath your feet. You get knocked down, thrown around, and eventually you regain your footing. That is what it is like to see your brother die when you are 15. Danny died the day after heart surgery, just a few minutes after I talked to him to tell him I’d be back to see him in a few minutes. I was the last person in my family to talk to him. There are a lot of details of this story that I need to write, but I’m going to save that story for another day because it is the most important story of my life. However, an hour after he died, after I emerged from the state of hyper-ventilation I was in, I managed to see him in his hospital bed. What I remember most about the moment that I saw him was that he died with a smile on his face. He died in peace and his pain was gone. After Danny died, I started sleeping in his bed. Three nights later, Danny visited me in our bedroom in the middle of the night. His audible voice came into my bedroom and awoke me. As I sat up in the dark room, we had a conversation as my eyes strained to see his body. Although I’ll save most of the story for later, he told me that he had permission to talk to me because of the grief that I was suffering. He told me to believe that he was in a better place, a beautiful place, and to go on and live a happy life. He said that we would talk again if I never told anyone about this encounter. This event and the other situations I experienced at that time, had a very profound impact on me. My vision of life was completely re-written. I went from being a kid that played multiple sports to bring satisfaction to my Mom and Brother, to a kid that realized the impossibly thin edge that exists between life and death. I saw life passing in seconds, like a sun ray glimmering on a wave in a lake. For me, my lifetime became compressed into a moment. My beautiful childhood years of living with Danny were over and my new life began. Life suddenly became more valuable and each day took on a new meaning for me. I realized that there were no guarantees for us to be able to live another day. I decided to never do drugs because I never wanted to waste a minute of my time. I essentially became an adult, if only in my mind. I left sports behind in search of a better life. I dove into reading and academics as a way of understanding the meaning of life. My childhood ended on January 19, 1979, and the rest of my life began. As I progressed through school, I didn’t feel particularly gifted in math or any subject for that matter. I didn’t have anyone to help me or to show me how to solve problems. I saw other friends in school that were naturally more gifted than me. I had to learn everything myself during those lonely homework hours, over many years. Things didn’t necessarily come easy for me – I just consistently worked hard year after year. I read hundreds of books and solved thousands of problems. I decided to never stop learning. I did my best all the time so that I didn’t disappoint my Mom. She had already suffered enough with the loss of Danny. I realized that I was being driven by a fear of failure. I was always a kid that tried to be a good boy and to make my Mom proud. About seven years ago, I learned something about myself that really surprised me at the age of forty-something. At that time, I was cleaning out my house in preparation for moving into a new home. While sweating profusely in my attic as I cleaned out old boxes, I was looking through a box that contained childhood memorabilia. I found a tightly rolled-up collection of papers that resembled a yellowed cigarette. As I brushed off the desiccated rubber band, I unrolled the papers to find the results from every standardized test given me from kindergarten through high school. There was one test result per year. I did not recognize these records at all. I don’t believe I had ever seen them. Apparently my Mom saved every one of them and sometime after I went to college, she must have put them in my box. Since she had already passed-on, I couldn’t ask her about them but I stood there and looked at each one of them. The thing that I learned about myself was that starting in kindergarten through fifth grade, my math scores were in the 80’s. After fifth grade and until the end of high school, my math score was pegged at the 99th percentile. I was stunned. Apparently that teacher-crush I had during my fifth grade year really boosted my mathematical ability! Seven years later after moving into my new house, I’m still searching for those papers, which are stuck in some box in my basement. I hope to find those one day to learn more about myself. The reason that this surprised me was that at no time did a school counselor, teacher, or anyone else ever tell me that I was good in math. I graduated high school in 44th position of 520 and didn’t have a plan to go to college. I believed that I was going to enroll in the military. Only through a last-minute intervention from a teacher-friend, did I make a decision to attend college. To show how ill-prepared I was for selecting an appropriate college, I submitted college applications to a small community college in Hot Springs, Arkansas (my Aunt lived there), one to a school in northern Alaska (I like cold weather), and one to Southern Illinois University (my sister lived there). Suffice it to say that such a scattered approach to college selection is all that we need to know to understand the lack of guidance, help and focus that I was given as I exited high school. About a week before my freshman year of college began, I returned from an 8-week camping trip that took me over 13,000 miles across the western United States. I visited most national parks, I tried to chase girls, and I learned a little about the majesty of the western states. When I returned home, an undergraduate catalog from Southern Illinois University was waiting for me on the kitchen table with some registration papers to complete. One evening, I flipped through the catalog to see the majors and courses offered. I stumbled upon a subject called Geology. At the time I don’t even remember knowing that geology literally meant the “study of the earth”. How would a city boy from Chicago know what it meant to be a geologist? The only relevance to me was that the catalog said that incoming students should be proficient in math, chemistry and physics. There were also a lot of pictures in the book that I recognized from my big western tour. Since I had a good time chasing girls out west, I automatically liked the western US and I figured that geology would be a good subject for me to study. Also, since I scored in the 30’s on math and science on the ACT test, I figured that those were my best subjects. My decision to study geology was made in that chaotic fashion, without any real knowledge of how that would impact my future. Back then, we didn’t have the resources dedicated to planning, selecting and preparing for a future as we now have for our kids! Once I began college, I didn’t have an easy path. I had to work 40+ hours per week for minimum wage in a bowling alley/disco bar. I became a jack of all-trades, including becoming a bowling machine mechanic. This lasted for 2.5 years, in smoke-filled, loud, obnoxious environment full of drunk and hostile people. My bosses were never appreciative of the hard work that I consistently gave them. For this reason, when I see someone working hard for little reward, I let them know that I appreciate what they are doing. For my first year, I lived with my sister and her family (which I’ll always be grateful for), but my second year was spent next door living with a 70-something year-old alcoholic named Bill. Between having to take Bill to the liquor store for booze or cleaning up his body fluids throughout the house, I had a challenging year. For an example of this, I offer a one-day event that tells the tale. One day I experienced the best and the worst of the situation all at once. The best part of the story is that I ended up with a reprieve from living in the house with the chronic alcoholic present. The worst part was that I came home to find Bill lying in a pool of vomit, phlegm, blood, urine and just about every thing else that can leak from a human body when a person is unconscious. I found Bill in this condition because as he passed-out due to too much alcohol consumption, and as he fell to the floor, he split his head open on the bottle of booze he was drinking. This event nearly killed him. In fact, when I entered the house, the stench was so overpowering that I was sure he was dead. It turns out he had pneumonia coupled with failing organs due to his chronic alcoholism. The combination of these factors and the fluids emanating from his body made the air essentially toxic. Once Bill was transported to the hospital, his condition was so poor and his prognosis so bad that he ended up being gone for weeks. After they removed him from the house, I had to do a deep cleaning of the whole house that really should have been done by crime-scene professionals (they didn’t exist at that time, however). During the brief interlude without Bill in the house, I was able to work on my studies better than I had during my first year and a half of college. Eventually Bill was released from the hospital and returned home. This event sent me directly back into the hell of living with an alcoholic. With an average of only 4 hours of sleep per day for much of my first few years of college, I learned to persevere through some tough circumstances, including living with Bill. To conclude this story, a few short years later Bill drove himself to Las Vegas for one last hurrah. He drank himself to death and died laying down in a city-street gutter. Sometime thereafter, his body was found and his family was notified. It was a sad ending for a man that was actually interesting when sober (which wasn’t often). Those are the facts as I remember them during my first couple years of college. I know these things to be true since I have some outrageous quotes from a drunken Bill that I wrote in my text books during the nights we spent together as I was doing homework. I knew that one day I’d need proof that this sequence of events actually did happen to me and were not just a scene from the 1995 movie called “Leaving Las Vegas”, which starred Nicolas Cage. Things improved for me dramatically during the next couple of years. In my third year, I was able to live by myself in a one-room trailer and work on some really great projects. I got to work directly with pig and horse sperm, as well as human cadavers! I got to do the jobs that nobody else wanted. I improved my computer skills by digitizing the perimeter of thousands of reproductive cells known as sertoli cells, for a professor that was arrogant, pompous and the first person that I even knew that I think was in love with himself. In fairness, at least I was not the person that had to do the direct sperm extraction from either live or dead animals. That job went to another student named Terri, and she shared with me many whopper tales that I cannot repeat in this blog post. My fourth year was just about as great as my third year. I got to work at an inmate work-release center, or a half-way house. I got to write resumes for prisoners with 4th grade educations. I got to work with completely illiterate men that were not the nicest people I ever met. I got to eat lunch with them and hear the stories they told about their time in the slammer. I heard about guys that knew John Wayne Gacy and some of the other hardened criminals in the Marion State Penn (have you ever heard of the crime boss John Gotti?). I learned all about calculating rates of recidivism and what it is like to live a life of crime. Needless to say, I have never committed any crimes, I don’t have any felonies and I have never been to jail! So in a sense, maybe this was the best job I’ve ever had. During this time, something else happened to me. I had another math-based eureka moment. It actually happened in my second calculus class, just after I took the second test. As I completed the test and walked out of the room, I knew with certainty that I had just scored a perfect test and suddenly the beauty of math was all around me. I felt like I was flying through space, seeing what Newton saw when he developed calculus. I suddenly understood concepts like integration and differentiation. I really understood them. Math became beautiful to me at that very moment and this feeling would last and last, even as I write these words. 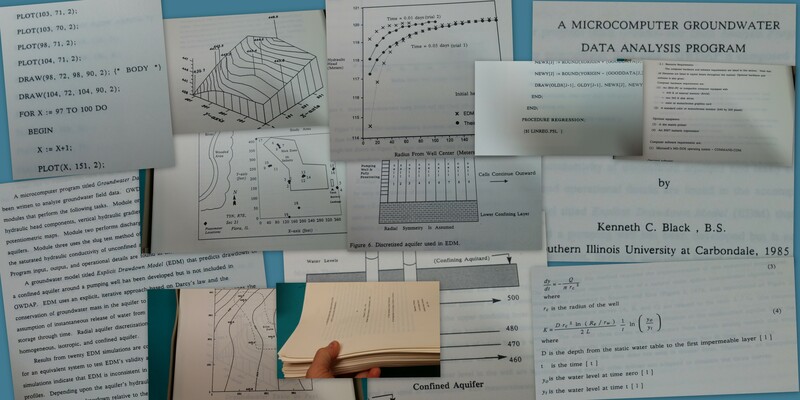 Now getting back to the education part, here I was as a geology student that was required to take only calculus 1. When I took calculus 2, I was ostracized. My fellow students told me that I was trying to make them look bad. They couldn’t understand why I would want to put myself through such torture. Well, I ignored them and went onto take at least 10 more math courses beyond calculus. I took math classes until I couldn’t understand the concepts any more. I tried to pass from the world of closed-form analytical solutions, into the realm of numerical approximations, into the world of abstract math. I realized I was hitting a boundary when I was given a partial differential equation and asked to determine if it had a solution and whether the solution was unique or not. When I had no insight on how to even start the problem, I realized something about myself. I realized that I wasn’t a math theoretician, but rather, I was a mathematical problem solver that was conditioned by years of solving problems by myself. I was a guy that loved to know when he was right or wrong when solving a problem. With that insight, I began to see my future. I knew my future would involve some form of computer based mathematics because I loved the stuff. I devoured it. I had started programming in the late 1970’s in my early teen years. My very first programming assignments occurred on TRS-80 computers (Figure 3). These were very basic systems that had very low resolution screens and operated a simple version of the programming language called basic. These assignments happened to be in a class called “Intro to Data Processing”. The irony of this is startling to me because even then, I knew that I could make computers do what I wanted them to do. Now some thirty years later, I find myself still doing it, although at a level a little bit higher than the introductory course taught me to do. 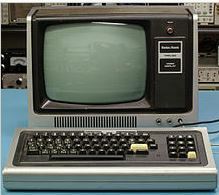 Figure 3 – A TRS-80 computer like the one I used to write my first data processing programs. 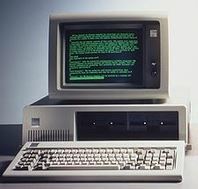 When IBM personal computers (or PCs as we called them) were introduced a couple of years later (Figure 4), I started writing computer codes on them, in or about 1979 or 1980. My first independent program was designed by me to calculate the distance traveled for each pedal stroke of my bike, for all ten gear combinations on the bike. I wanted to calculate things like: how many pedal strokes are needed to travel one hundred miles?, or if I pedal at 100 rpms, how fast would I be going in each gear? I gradually began progressing in the sophistication of my programming skills, which leads me back to my story. Figure 4 – An early IBM PC like the one I used to write the bicycle gearing program. By the time I was in graduate school, I had already taken a few programming classes, including most noteworthy, Fortran. I used Fortran extensively for many years to build numerical modeling codes and graphical post-processors. I wrote serial and parallel processing codes for massive super computers. I wrote quantitative and graphical post-processing tools using Fortran. Fortran was a great language for quantitative analysis. Since this time, I have now written hundreds of computer codes to do all types of things. I studied Pascal, Fortran, Basic, C, C++, blah blah blah. I learned and used them all. Throughout this time, there have been many emerging and dying techniques, the birth of new concepts like of object-oriented programming, and things like parallel processing concepts. I have tried them, mastered some of them, and let some of them die because something better has come along. Take my big experiment in Pascal, for instance. My big experiment happened to be my Master’s thesis, and this work was completely written in Pascal, and when the source code was printed, it was over 350 pages. The compiler I used was called Turbo Pascal, and it was fast for its day. To help you appreciate where we were at this time, Figure 5 is a picture collage from my Master’s Thesis. These pictures are representative of the computer hardware and software technology as it existed only about 28 years ago. You can click the picture to get to a higher resolution image to see the details if you are so inclined. If you were to do this, you would see that at that time, I literally had to draw pictures on a pixel-to-pixel basis. I had to specify colors on a pixel by pixel basis. Imagine if Tableau made you specify the coordinates of the lines you wanted, and forced you to specify the pixel colors of the objects you wanted to create! Figure 5 – A picture collage from my Master’s thesis. I did this type of programming for many years, until better graphical libraries were developed. As you can see in the picture collage, we were using 13 inch screens that had resolutions as high as 640 by 200 pixels. We even had math co-processors back then! You were lucky if your monitor supported 16 colors! Now I routinely create graphics on a 65 inch, 4K resolution (3840×2160) monitor that supports millions of colors! I am glad that I don’t have to draw everything on a pixel-by-pixel basis as I had to back then. Additionally, look at the quality of the charts and compare them to what is now possible. I think the technologies available to us for graphical rendering have advanced just a bit. The purpose of me showing this information is to remind everyone of the computer hardware revolution we are living in. The title of my thesis was “A Microcomputer Groundwater Data Analysis Program”. I was able to do some interesting research back then, but model run-times were extreme because the computers were slow. That limited my ability to use numerical methods for approximating the governing equations I was working on developing. If I had a 2014-era computer coupled with Alteryx and Tableau back 30 years ago, the work that I would have been able to accomplish would have been much more innovative and creative. By writing a “Data Analysis Program” back 30 years ago, I think I have the proper pedigree to write about modern software like Alteryx and Tableau since my thesis involved aspects of both of these programs. After graduation, I worked for over 20 years as a computational hydrogeologist. I specialized in simulating the clean-up of contaminated groundwater. I built so many numerical models through the years that I have forgotten about some of the applications I completed. I have to look back at my publication list to remember the work we did. One thing I do remember, however, is how important the computer hardware revolution was to me being able to solve more challenging programs. Much of my time was spent in code development for solving partial differential equations, testing things like matrix solution techniques, bench-marking models, and writing graphical post-processing engines for the numerical models. I have extensive experience in computer programming, geographical information systems, database management and big data usage. To show you how much fun it was for me, this is what I decided to name my primary graphical engine: “NAG”. “NAG” stood for Numerical Approximations Graphics and I linked it to a wide number of numerical models to produce graphical results we needed to effectively remediate contaminated groundwater. Over seven years ago, my career transformation from a computational hydrogeologist to a business intelligence analyst occurred. Using my computational skill set, I began learning about business analytics by re-writing and re-engineering our company software. Tableau was a part of that work as I used it as my graphical post-processing engine. With over seven years of process-improvement work completed in a wide array of businesses, I now have a interesting perspective to offer others via my blog. I write articles for solving common business problems. My experience working with so much data on so many different projects has allowed me to see the beauty of Alteryx and Tableau and to explain how to use these tools effectively. As I reflect on the early years in my career, I feel sad that I didn’t have these tools available to me to help me perform numerical modeling of natural systems. The good news is that I now have these tools and I hope that my diverse experience base will allow me to achieve my best work in the upcoming years! My plan is to share these insights with others through this blog. I discuss how Alteryx and Tableau can be used in combination to complete creative work and to achieve innovation in business applications. Click here to read Part 2 of this series. Hi Ken, let me briefly introduce myself as you often express that you don’t know the readers of your blog. I don’t know when and how I landed on your blog. Just now, I looked over my emails to see when I have the first email from you – It shows August 9, 2016 (that is about 2 months now). I have been reading a lot of your posts and often I identify with you in a number of ways. Though I do want to post a comment to express my thoughts/feelings, time and place did not always make it possible. But when I read this entry on my mobile during the weekend when I was waiting for a conference to start, I made a decision to login and post comment and here I am. I am from India (a place called Chennai), and I run an analytics consulting company that helps clients to get better value out of BI/Analytics. After number of years as a C/C++/Java programmer, I have gotten started in BI in 2002 when I was pushed into integrating Informatica (the first ETL tool, I guess) and Business Objects (the first BI tool in the industry) into the master data management solution we were building (which incidentally made it into the Gartner’s quadrant). I absolutely hated all the slow and clumsy drag-and-drop operations in ETL and BI tools as I was a hard-core programmer and I really loved programming, especially the hard-stuff that makes me moody/aloof over many days to figure out the best solution. But over time, especially after doing my MBA and moving into management consulting with one of the Big 4, I realized the other side of BI – true value of applications really come only from BI/Reporting, especially for top managers (I see data capture and reporting as two sides of the same coin). Now it has been a long time since I have been in the reporting/Analytics area and I don’t read blogs that much due to time constraints. But I must say that I have probably read 20 or 30 or even more posts from your blog and I agree/understand/empathise with a lot of your observations. Now, coming to this post specifically, I don’t know how to capture my feelings after reading this – we are 10,000+ miles away, but I feel connected to you, really connected to you after reading this post. Though I have connected to you at an intellectual after reading a number of your posts, this post really made that connection in my heart. I feel embarrassed to even write this as I never felt this way before with a blogger – but given that you have opened your heart out and made it all public, I at least want to say that your story really touched me. Your beautifully written comment has left me short of words. That does not happen often. Thank you very much for recognizing my struggle in writing that article. It was tough for me to do. I look forward to future correspondence and watching you experience the exhilaration you will get with learning Alteryx. Congratulations on making such a wise decision.